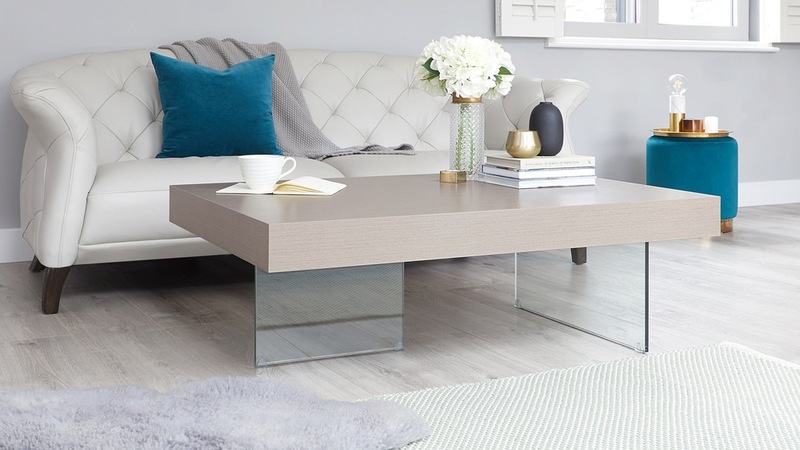 The Aria Large Grey Oak and Glass Coffee Table is a simple but effective way to add a piece of contemporary design to your living area. The grey oak top combined with the clear glass legs give this table a light and fresh feel, perfect for brightening up your home. The Aria large coffee table is 40cm in height, 80cm in width and 120cm in length, making it ideal for placing by your sofa or seating area so drinks and magazines are always at arm's reach! The 12mm thick tempered glass legs make the Aria look as though it is suspended in the air, while also keeping the space looking bright and open around the base. This stylish design feature gives the Aria its ‘wow’ factor alongside its contemporary good-looks. 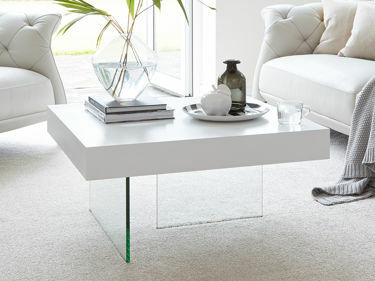 The designer clear glass legs have been rigorously tested for strength and durability, certified to BS6206. This confirms their quality and strength against impact. We do this to ensure that we are providing you with safe, strong and durable materials for your home. 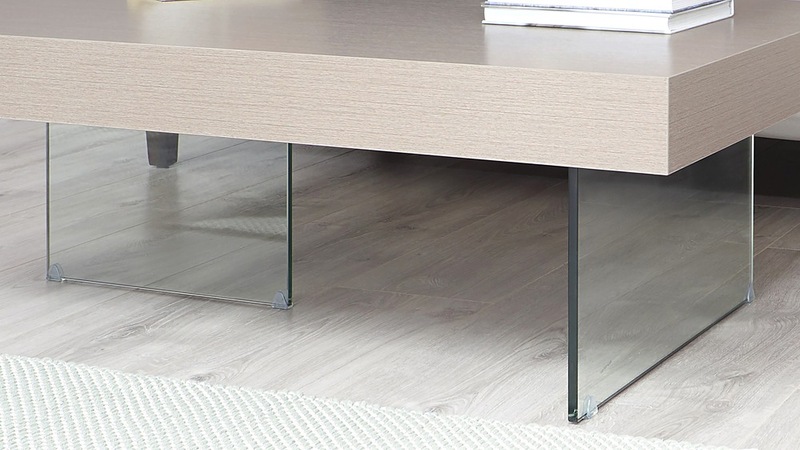 One of the clear glass legs runs across the width of the coffee table and the other runs lengthwise, providing e a stunning but safe base for this modern grey oak coffee table. 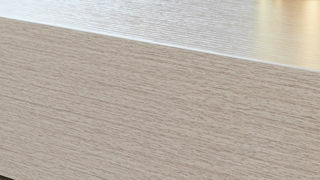 Finished in a grey oak laminate, the Aria will bring a light and fresh look to your living room. 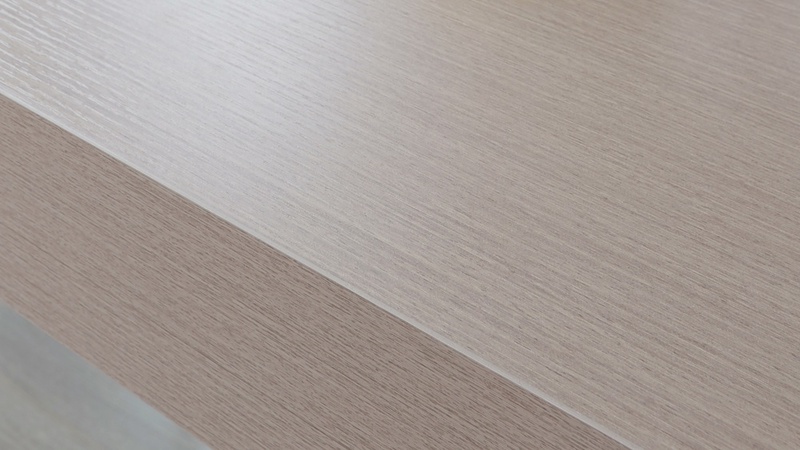 A laminate is easy to clean too, making this piece easy to maintain and well suited to everyday use. 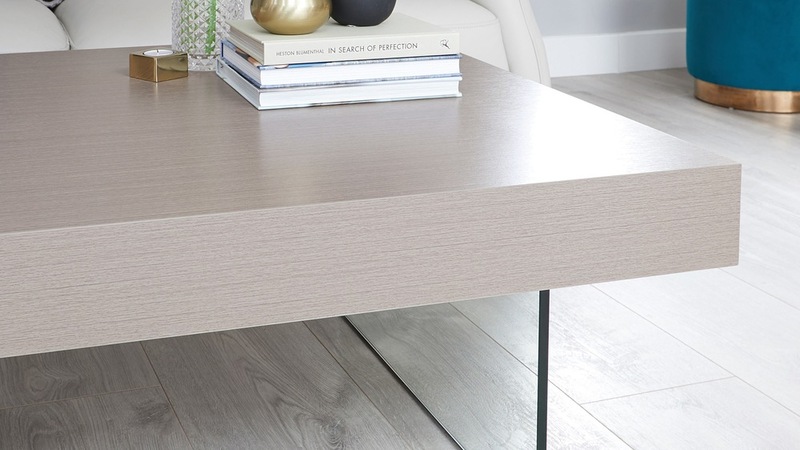 The Aria large coffee table is also available with a dark wood or white oak veneer, depending on what finish you think will look best in your space. It’s an ideal coffee table for placing next to a sofa or by corner seating, as the cleverly positioned legs keep the space under and around the table light and open. This means there’s plenty of space to walk past and to tuck your feet underneath. You really needn’t worry about the glass legs being fragile- all of our glass products are made from tempered safety glass and are tested to British Standards, meaning they are incredibly strong, sturdy and most importantly safe to have in your home.